ALLFIE is a unique voice! Formed in 1990, we are the only organisation led by Disabled people focused on campaigning and information-sharing on education, training and apprenticeship issues. ALLFIE believes that inclusive education is the basis of lifelong equality. Children who learn and play together will grow into adults who can understand and respect each other’s differences. We campaign for the right of all Disabled pupils and students to be fully included in mainstream education, training and apprenticeships with all necessary supports. ALLFIE values our allies, both disabled and non-disabled, and works with a range of organisations to push for change. Find out too about our Inclusion Champions Network, for Disabled people’s organisations, and the New Voices project for young Disabled people. 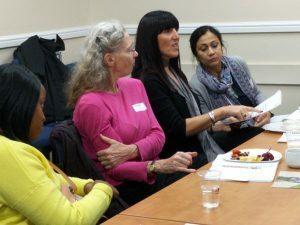 We work with a network of Disabled People’s Organisations to raise awareness and engage locally around education issues, providing resources and training. Send us an email, phone us, find us on social media - get in touch with us here.